The next Google and University of Maryland Cybersecurity Seminar will be held on Thursday, June 16, at 4:30 p.m. in the Jeong H. Kim Engineering Building's main lecture hall, Rm. 1110, and will feature Ari Schwartz, Senior Internet Policy Advisor at the National Institute of Standards and Technology (NIST) Information Technology Laboratory. The title of his talk will be "The Future of Online Identity." 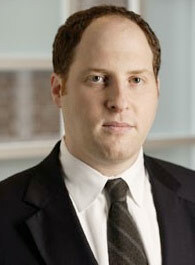 Ari Schwartz serves as Senior Internet Policy Advisor for the NIST Information Technology Laboratory. He represents NIST on the Department of Commerce Internet Policy Task Force, providing input on areas such as cybersecurity, privacy, and identity management. He also works with NIST Director Patrick Gallagher on IT-related standards issues. Schwartz came to NIST in August 2010 after serving almost 13 years as Vice President and Chief Operating Officer of the Center for Democracy and Technology (CDT). Schwartz's work there focused on increasing individual control over personal and public information. He also worked to improve privacy protections in the digital age and expand access to government via the Internet. While at CDT, Schwartz regularly testified before Congress and Executive Branch Agencies on these issues. He also led the Anti-Spyware Coalition (ASC), anti-spyware software companies, academic, and public interest groups dedicated to defeating spyware. In 2006, he won the RSA Award for Excellence in Public Policy for his work building the ASC and other efforts against spyware. He was also named one of the top 5 influential IT security thinkers of 2007 by Secure Computing Magazine. The Google and University of Maryland Cybersecurity Seminar Series is organized by the Maryland Cybersecurity Center (MC-squared), a multidisciplinary initiative at the University of Maryland aimed at research, education, and technology development in cybersecurity. MC-squared brings together faculty experts from engineering and computer science with colleagues from across campus in fields such as information sciences, business, public policy, social sciences and economics, mirroring the comprehensive perspective of the new seminar series that places special emphasis on “the human factor” of cybersecurity. For more information, please visit www.cyber.umd.edu.